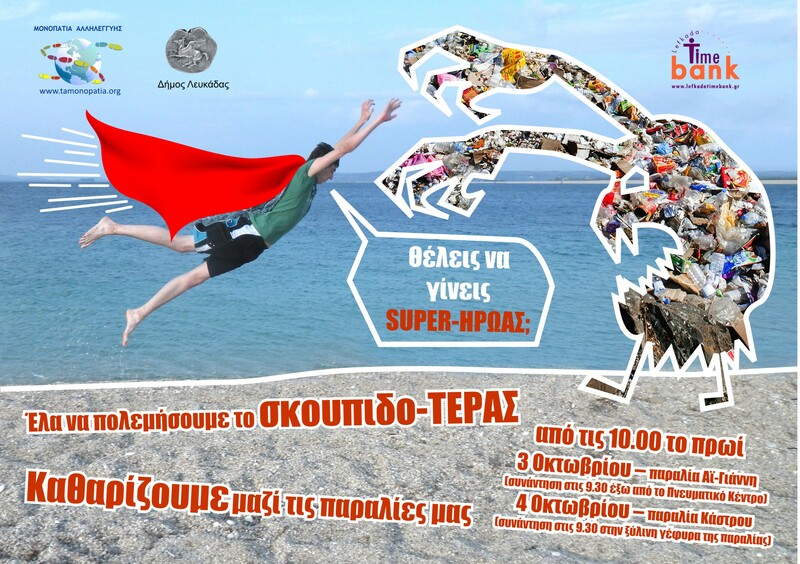 Do you want to become a super hero? 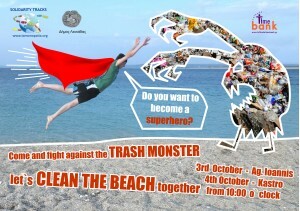 Come and fight against the Trash MONSTER! 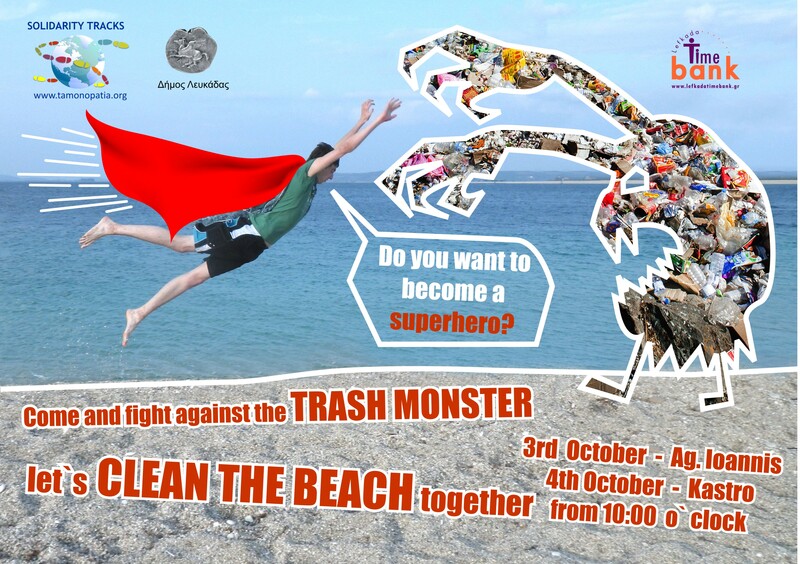 Let`s clean the beach together! Where? Our meeting point is the Cultural Center in Lefkada town. Where? Our meeting point is Nirikos Hotel. You find more information on our Facebook page.